"Globally, the demand for unlimited access to music and movies has really taken off, and we believe books is the next category that will benefit from barrier-free access. 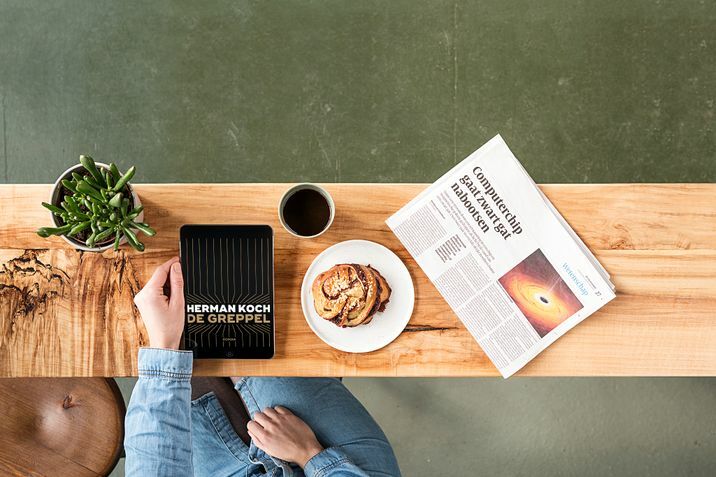 By combining bol.com’s and Kobo’s knowledge and reach, we can now offer Dutch-language readers the ultimate reading experience and make digital reading even easier,” says Pieter Swinkels, Executive Vice-President, Rakuten Kobo. “Kobo Plus allows readers to effortlessly discover new authors and try out new genres that they might not otherwise try, encouraging people to read more. The extensive selection available through our subscription service means the only thing readers need to consider is what book to read next." Daniel Ropers, General Manager, bol.com: "Books inspire and enrich, which is why, from the moment we started our bookstore in 1999 in The Netherlands, we have done everything in our power to make reading books as enjoyable, convenient and accessible as possible for a wide audience. This has really taken off since we introduced digital reading in 2009. Our new eBook subscription service provides an even better answer to customers' frequent requests to have a large number of books available at an attractive price, including bestsellers. We have found an excellent partner in Kobo. With their digital reading platform, which includes world-class eReader options, we work towards the same goal every day." Since its launch in 1999, bol.com has been one of the most popular stores in The Netherlands and Belgium. Due to its wide selection, excellent service and convenient shopping, bol.com enjoys the confidence of approximately 6.5 million customers in The Netherlands and Belgium. This appreciation is reflected in the many awards bol.com has won. In March 2016, for example, bol.com was pronounced 'Best Web Store in the Netherlands'. In addition, shoppers voted bol.com 'Best Online Department Store in the Netherlands' and 'Best Web Store in Belgium' in both 2015 and 2016. With a selection of nearly 15 million products, all of these customers keep finding what they're looking for. Bol.com offers the largest selection within dozens of specialty stores, including books and e-books in Dutch and other languages, music, movies, games, electronics, toys, jewelry, watches, baby products, gardening and DIY products, as well as everything for the home, pets, sports, leisure and personal care. Bol.com is part of Ahold Delhaize.